The depth in Australian rugby appears to be on the up. 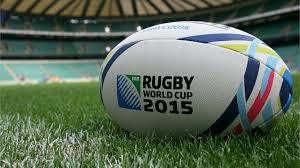 Something that can only be a positive when looking towards the future and the 2023 Rugby World Cup. I honestly believe, in announcing the cessation of the Western Force’s license, the ARU has finally signed Super Rugby (SR) and SANZAAR’s death warrants. Super Rugby has expanded beyond redemption and it all boils down to South African Rugby Union’s (SARU) selfish agenda and the lack of a spine from the ARU and NZRU. Fantasy is back and isn’t it glorious? Round one has thrust us into another year of potential sleepers, let downs and superstars. In the words of the Katie Perry “Super Rugby changes structures, like a girl changes clothes” and very few fans would disagree that the current system is in a shambles. There is no doubt that the most recent venture into expansion and the inclusion of the Argentinian Jaguares and the Japanese Sunwolves, was intended to broaden the marketing base, hopefully providing a gravy train for the host nations. Yet,the most recent evolution of the competition to a two conference, four group structure, in which many teams will face off only once every second year has proven confusing at best, and disastrous at worst. So here you have it, the Western Sydney Rams team list for 2016. There is a lot to loath from the Australian Super Rugby conference in 2016, but there is also something to love. Depth.